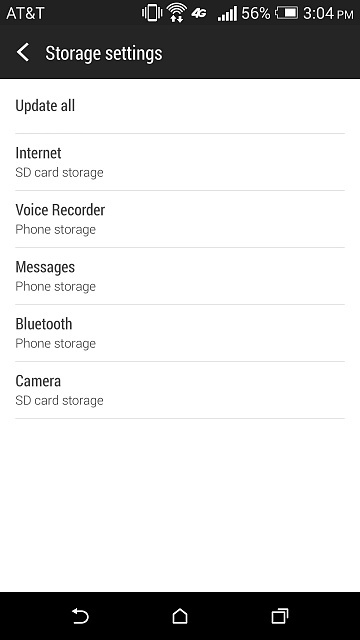 HTC One (M8): Figured out how to save to SD card! I know this may not help everyone but I did find a section in the settings menu. Go to settings - storage - and down at the bottom go to storage settings. Check it out! I don't see a setting for internet. KoukiFC3S and LocationDudeNYC like this. Ah I don't have the stock bowser on my Verizon M8. How to update to Kit Kat a spare Mini? How to update my AT&T note 3 to kitkat ?